Oregon is suddenly the belle of the wine ball. A year ago the image was of enlightened hippies earnestly struggling to farm in sync with Mother Nature, with no wineries bigger than 175,000-cases King Estate. This week, it's all neckties, bankers and mortgage rates. 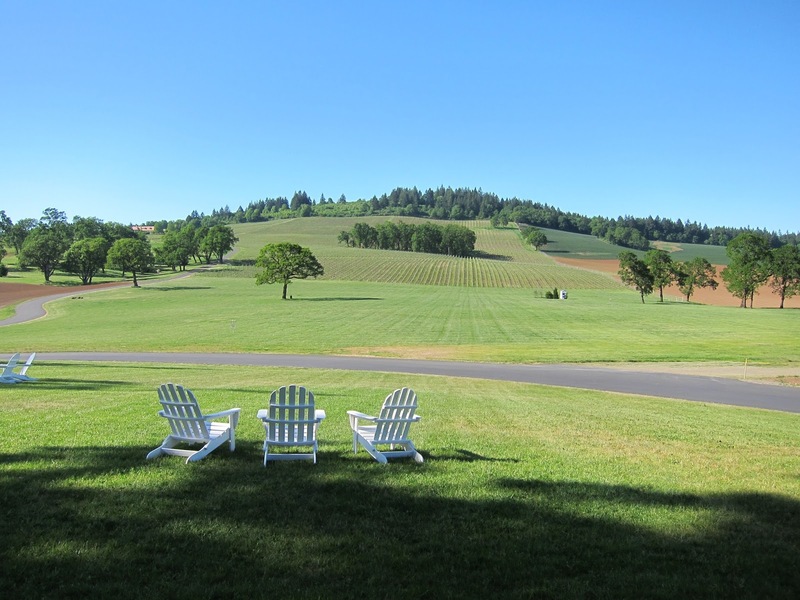 * Maison Louis Jadot just bought a 20-acre vineyard in the Yamhill-Carlton district, its first purchase outside Burgundy. Jacques Lardiere, who worked at Jadot for 42 years, will move to Oregon to be the winemaker, a stunning adjustment for a guy who retired earlier this year. * Earlier this week, Jackson Family Wines (the Kendall-Jackson folks) bought a 15,000 case winery, also in Yamhill-Carlton. This will help them make wine for the La Crema brand from the 280 acres of vineyards they bought in the spring. * Bacchus Capital Management, a California private equity fund, bought all or part of two Oregon wineries earlier this year. Bacchus' co-founder is Sam Bronfman, formerly of Seagram's and Diageo. 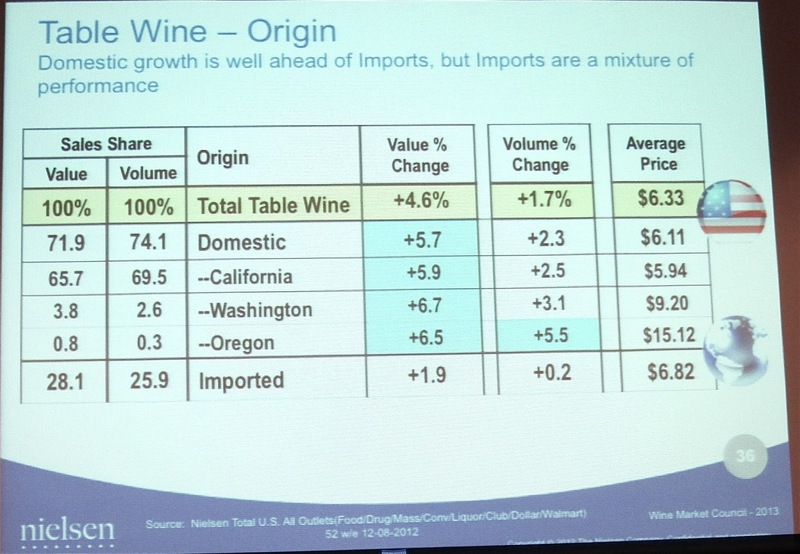 This data comes mostly from supermarkets and drug stores, not fine wine shops, and yet, Oregon wine sells for an average of $15 a bottle compared to under $7 for almost everything else, it's getting more expensive -- and sales are rising. 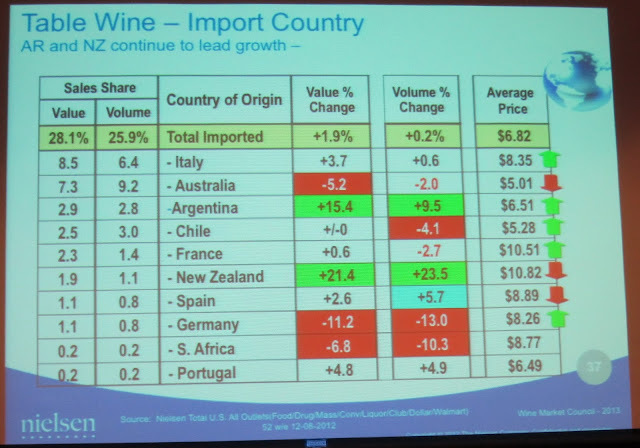 The foreign equivalent of Oregon wine is New Zealand wine, which is the most expensive in the store. 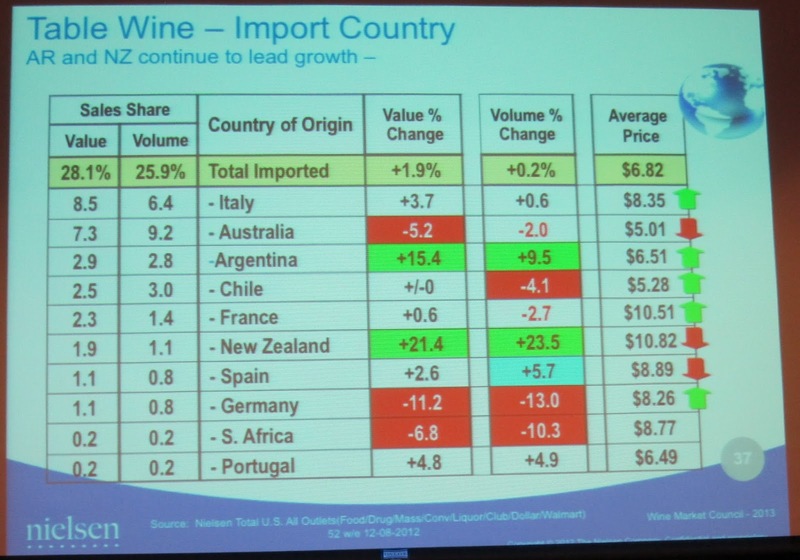 As with Oregon, there are no really cheap Kiwi wines. And it's showing easily the hottest sales growth. Smart businessmen are looking at that and trying to grab a piece of the upscale pie. One of Oregon's underrated advantages is that everybody knows there are no cheap wines from there, and even with Precept Wines and K-J and Bacchus moving in, there aren't going to be. 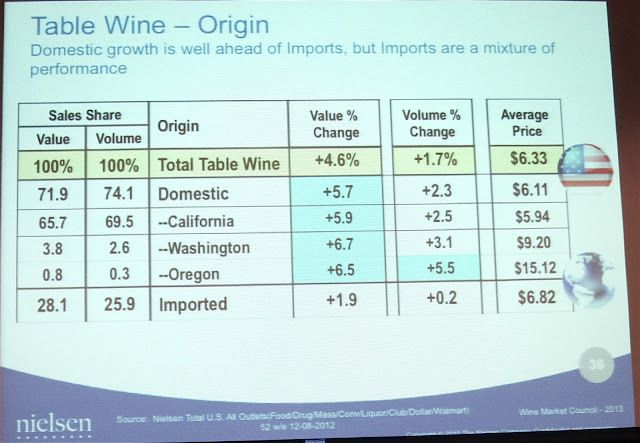 "Oregon suffered a lot during the recession," says wine industry analyst Barbara Insel of Stonebridge Research. "They simply cannot produce cheap wine. It's not what the soils and climate will give." There's another connection between Oregon and New Zealand: they're both known for clean air and green farming. You can argue about the size of the market willing to pay extra for those qualities, but there is a market and it doesn't have to be huge to give a boost to a state whose total production exceeded 2 million cases for the first time in 2011. In contrast, Gallo makes more than 1 million cases of just one brand, Apothic Red -- and that's not even its biggest brand. Insel pointed out two interesting facts about the Jadot purchase. First, Jadot is actually owned by Kobrand, an American company, so this isn't quite the same as when Maison Joseph Drouhin built its winery in Oregon in the 1980s. That was a huge risk for the Drouhins and a validation for Oregon; this is an investment that will be easy to finance. Second, horrific weather problems in Burgundy have led to a grape shortage. "I wonder if this has something to do with the weather in Burgundy?" Insel says. "But it could just be time to get into American Pinot Noir." Surely micro-scale artisanal Oregon winemakers like Jay MacDonald of EiEiO and Thomas Monroe of Division Winemaking Company are wondering today what this means for them. Will K-J come bearing aggressive lawyers, as it did when Jess Jackson entered the wine business? Is Oregon's collegial wine culture gone forever? "They haven't done that in Napa," Insel says of K-J. "They don't care about whether other people approve but they try to be creative. They won't take the wines downmarket. They still have that quality about thinking strategically about where the market is going." "I'm not sure how many Oregon wineries have national distribution," Insel says. "Now there are bigger players that can help develop Brand Oregon. These producers have confidence that they can market in the higher price categories." Interesting point about the tough stretch of weather in Burgundy potentially driving them to look at other regions to produce pinot. We were in Burgundy this spring, before the storms hit, and it was incredibly cold. At that point they were talking about the fact they might not have a summer in 2013. As a wine producer that would have me looking at other regions as well. Nicely done, Mr. Gray! You nailed it. Considering the source, that's the highest praise I've gotten in a long time. Thanks!